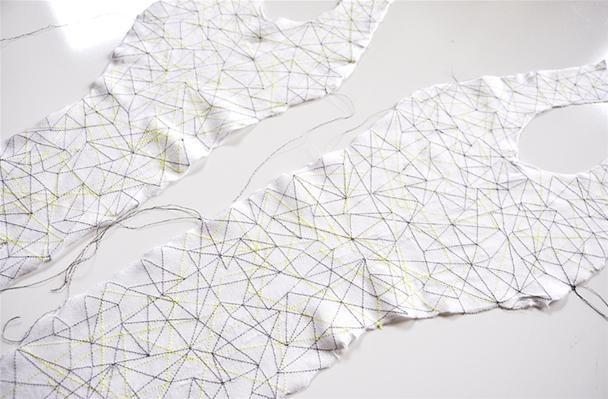 Arduino fashion (essentially, electronic textiles that can perform a variety of functions) is certainly not a new idea, but the Ping social networking garment brings a fresh and exciting perspective to the concept. 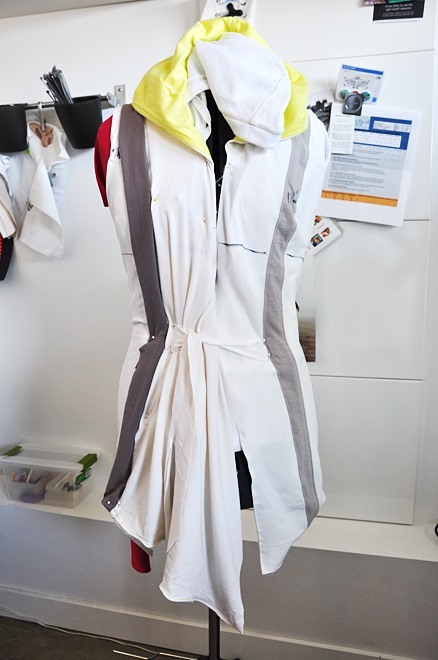 "Ping is a garment that connects to your Facebook account wirelessly and from anywhere. It allows you to stay connected to your friends and groups of friends simply by performing natural gestures that are built into the mechanics of the garments we wear. Lift up a hood, tie a bow, zip, button, and simply move, bend and swing to ping your friends naturally and automatically. No phone, no laptop, no hardware. Simply go about your day, look good and stay connected. The Facebook application allows you to assign different tapping rythms to different groups of people so you can begin to create your own personalized feedback language that lets you know who is communicating to you and who is trying to connect." Virtual communication enters the real world. Read more about how it works here. News: Donkey Kong for Real! Coming Soon: Spy Video Glasses with Real Time Streaming to... Facebook? Clothes that can spam facebook fantastic.